Not a moment too soon. Benjamin has arrived in California to save us from ill-conceived and poorly written screenplays vying to be the next Hollywood blockbuster. Thankfully, Benjamin is neither the 20-something, creative-wunderkind nor a 30-something know-it-all uber-producer; he (or she) is not even human. 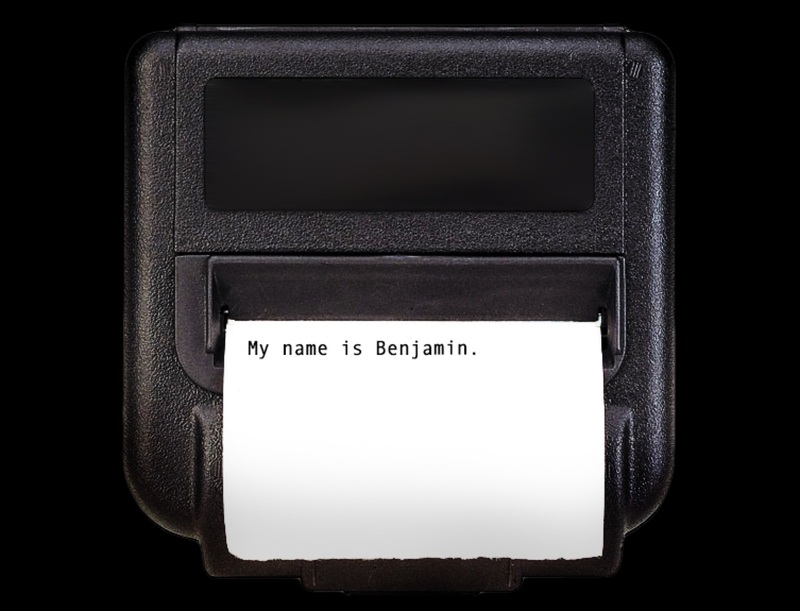 Benjamin is an AI (artificial intelligence) based automatic screenwriter, and author of Sunspring, a short science fiction film. Ars is excited to be hosting this online debut of Sunspring, a short science fiction film that’s not entirely what it seems. It’s about three people living in a weird future, possibly on a space station, probably in a love triangle. You know it’s the future because H (played with neurotic gravity by Silicon Valley‘s Thomas Middleditch) is wearing a shiny gold jacket, H2 (Elisabeth Gray) is playing with computers, and C (Humphrey Ker) announces that he has to “go to the skull” before sticking his face into a bunch of green lights. It sounds like your typical sci-fi B-movie, complete with an incoherent plot. Except Sunspring isn’t the product of Hollywood hacks—it was written entirely by an AI. To be specific, it was authored by a recurrent neural network called long short-term memory, or LSTM for short. At least, that’s what we’d call it. The AI named itself Benjamin. Image: Benjamin screenshot. Courtesy of Benjamin.